Just two days after the release of War Thunder on the PlayStation 4 developers Gaijin Entertainment announce that the Ground Forces expansion is now available to download for free on the PS4. Accompanying the Ground Forces expansion is the introduction of cross-platform play between the PlayStation 4 and PC communities of War Thunder. 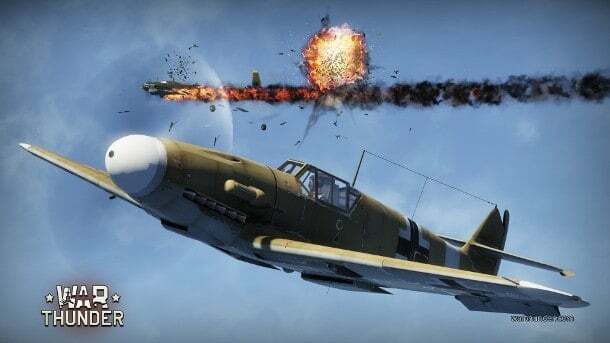 War Thunder players are now able to enjoy cross-platform play featuring over 400 historically accurate planes and armored vehicles with hundreds more expected to be added via regular free updates from Gaijin Entertainment. One of the most exciting elements of cross-platform multiplayer on War Thunder is the ability to form teams of up to 4 players and enjoy the thrill of competitive gameplay alongside exciting cooperative scenarios regardless of platform. PlayStation 4, PC and Mac OS users can group up and enjoy the same content side by side. version, and now we’re welcoming PS4 owners to join the fight!